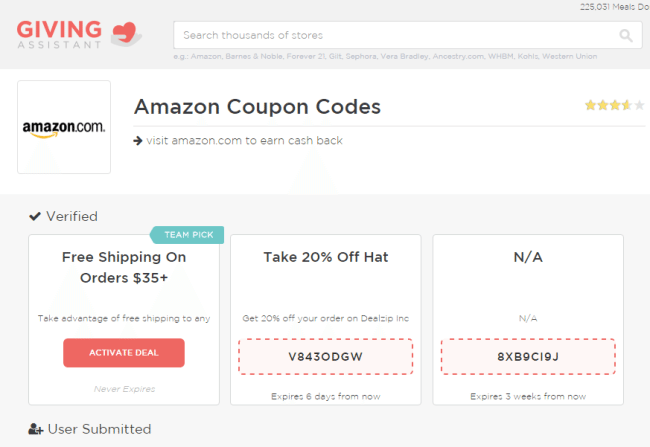 Sick of Online Promo Codes That Don’t Work? 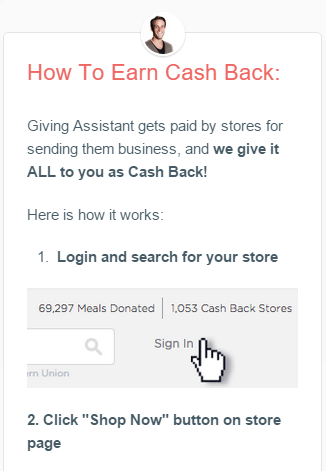 Try Giving Assistant for Cash Back! I’m a queen of online promo codes. It drove my oldest two kids nuts until they had to start using their own money for clothes, books and other online purchase. Now they search and search for that one code to save some money. But, unfortunately they’ve found out (just like I did) that these promo codes listed everywhere rarely work. How annoying is it to find a 20% off code, or one for free shipping, or maybe $10 off your first order, only to enter it into that nice little promo code box and it not work? Online shopping is getting increasingly popular and so is the need/want to save money. How would you like to save an average of 5% on online purchases from some of the most popular stores like Amazon.com, Staples.com, Barnes & Noble, Sephora and Kohl’s? I was recently introduced to GivingAssistant.org, a free digital loyalty program which features over 1,100 online retailers and offers an average of 5% cash reward after each purchase. Retailers pay Giving Assistant a commission for purchases that are made through their website. For these purchases originated by members, they pay the entire commission as cash back to you. For non-members, Giving Assistant makes a small donation to Feeding America to provide one meal. Members also have the choice to donate any % of their cash back to any charity of their choice. 1. Login and search for your store. 2. Click the “Shop Now” button on the store page. 3. Shop as normal and Giving Assistant tracks your cash back. 4. Receive your notification a few days later. These are my Cashback Clicks while shopping for a telescope. Giving Assistant always pays members 100% of the commission, unlike 50% you’ll get elsewhere. Also, instead of waiting weeks or months for your cashback, they pay within days directly to your secure debit card and there’s only a $1 minimum. It doesn’t get much easier than that. If you have any issues with your cashback rewards or you just have a question, Giving Assistant has top notch customer service to help answer any questions. Now I have two things to look forward to – our telescope we’ve been wanting for years and my cash back reward. Win-Win. Sign up at GivingAssistant.org today and begin receiving your cashback on every day purchases. Let me know if you have any questions! This is a sponsored conversation written by me on behalf of Giving Assistant. The opinions and text are all mine. Next article3 Blanket Scarf Outfit Ideas, Plus How to Tie One!